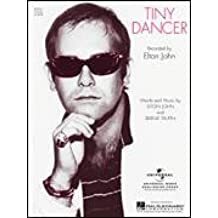 Tiny Dancer (string quartet) String Quartet - Digital Download By Elton John. Arranged by Ian Anderson. 16 pages. Published by Ian Anderson (H0.183443-849250). Pop/Rock Piano Classics Piano/Keyboard 19 Note-for-Note Piano Transcriptions . By Various. Piano Collection. Pop, Rock. Softcover. 164 pages. Published by Cherry Lane Music (HL.2501152).